Part 1 is here. If you want the questions to do them yourself, they’re here. If you do them, please let me know too! “For what?” is the question! I’d feel more at home in Rivendell, so if it’s a question of settling down somewhere, Rivendell it will be. As I said in Part 1 of this questionnaire, I’d love the mountains, the valley and the company. 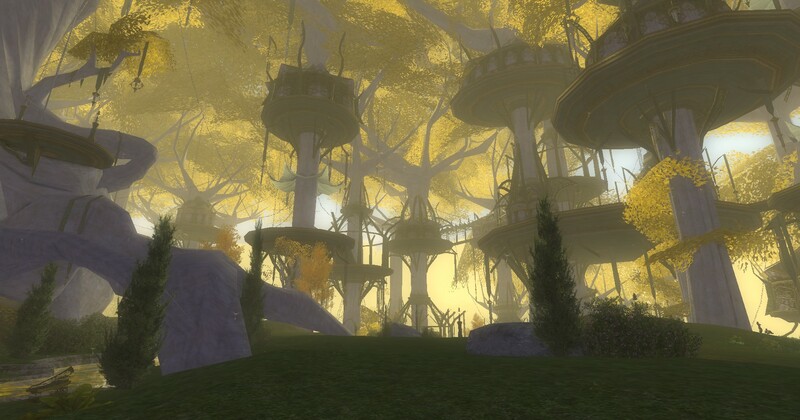 If it’s for a visit, perhaps even quite a long one, I’d pick Lothlorien. It’s more unique and unearthly, unlike anything I’ve ever seen in real life. But for the very same reasons, I wouldn’t quite belong. Plus while I do love spending time in woods, I’d prefer more open countryside to gaze upon every day. Grima is meant to be unappealing, and he is. 18. Have you ever cosplayed as one of the characters? If not, who would you choose? I never have. It might be fun to try any number of characters, perhaps especially Gimli. Not sure I could pull it off though, not particularly dwarf-shaped. 19. What scene makes you laugh the most? Not so much the scene as one great line. 20. If you could meet 3 of the actors, who would you choose? Sam Astin, he’s up to interesting stuff these days. Andy Serkis, because I think it’d be fun. Also – Gollum! 21. What are your top five favorite lines from the films? Usually I like a passage rather than a line. Mostly a line only makes complete sense or gets its full impact from the context, and that’s what makes it a favortire. So I’ll quote passages and highlight the lines I mean. Frodo: [of Gollum] It’s a pity Bilbo didn’t kill him when he had the chance. 22. What are your top five favorite lines from the book? ‘A man may do both,’ said Aragorn. ‘For not we but those who come after will make the legends of our time. The green earth, say you? That is a mighty matter of legend, though you tread it under the light of day! Theoden: Maybe we shall cleave a road, or make such an end as will be worth a song – if any be left to sing of us hereafter. Elrond: The road must be trod, but it will be very hard. And neither strength nor wisdom will carry us far upon it. This quest may be attempted by the weak with as much hope as the strong. Yet such is oft the course of deeds that move the wheels of the world: small hands do them because they must, while the eyes of the great are elsewhere. Bilbo: I don’t know half of you half as well as I should like; and I like less than half of you half as well as you deserve. There are so many great lines and passages, these selections are a little bit artbitrary. Another day, another mood, I’d pick some different ones. 23. Who do you think is the most underrated character? I think all the major characters are well-loved, so it’ll have to be a non-obvious choice. How about Sauron? He never appears in person, but he permeates the book, and if Tolkien hadn’t done such a great job of portraying him, the whole story would have lost its power. Maybe that’s why the book is named after him. 24. Have you watched any of the animated films? If so, what are your opinions? 25. How has LOTR affected your life? When I first read it, about 14 years old I think, I was moved, delighted and enthralled. When I re-read it at various times, I was transported back to Middle Earth, and also to that especially happy period of my life when I’d first read it. In some particularly bad patches of my life, that could be a big comfort. Also the book’s influenced my outlook in various ways, especially when it comes to dealing with situations that seem frightening, daunting or hopeless. I’ll quote things from the books and movies to myself – like “It’s the job that’s never started as takes longest to finish”, or “The day may come when the strength of Pasduil fails… but it is not this day” – and it will help me approach the situation with the right attitude. Lastly since th movies came out, I’ve got to connect with lots of like-minded people via our shared love of Tolkien, either adding an extra dimension to relationships with people I knew already, or making new friends. 26. Which characters would you want in your Fellowship? How big would my fellowship be, and what would be its mission? The actual fellowship seems nearly ideal. Though I always found it hard to understand why Glorfindel wasn’t included. I’ve always had a liking for bow-wielding heroes, even before reading LOTR, so I’ll have a bow. Alternately, if it should be a specific named weapon from LOTR, I’ll go for Sting. 28. 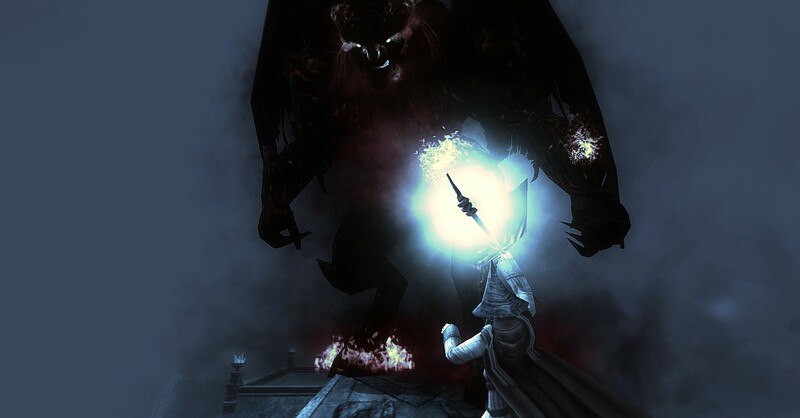 Would you have volunteered to destroy the Ring? Yes, I would. That is if no one more likely to succeed at the task was willing to try. I’m not sure how good of a candidate I’d be as ring-bearer. Possibly I’m hobbitish enough to resist it, but I might be susceptible to being lured into thinking it could be used to do good. But as humans go, I’d probably be a better candidate than most. 29. Who do you think is the most attractive character? Physically attractive? I’ll say Eowyn, though I could easily have said Arwen instead. 30. Do you own any LOTR merchandise? If so, what is your favorite item? I own books, DVDs, audiobooks etc, but nothing you’d call merchandise. 31. Have you read the book? Yes, lots of times. By now you probably guessed that right? 32. Have you ever had a LOTR marathon? Describe your perfect marathon. Not as such. I’ve had long sessions of watching a movie and then rewatching selected scenes, but never all three movies in one go. If I was going to have a marathon I think ideally I’d want it over a long weekend, with one of the extended edition blu-rays per day, and having a bunch of Tolkien fans over to watch them with. Allow plenty of time for rewatching of favorite scenes, and talking them over together. There should be time for pies and walks too. 33. When did you first watch the films and/or read the book? I was about 14 or so when I first read Lord of the Rings. I saw the films as they came out, a good many years later. 34. What is your favorite film/book? I tend to think of LOTR as one book. I first read it as a single volume paperback, so that’s how I always thought of it. But of the three volumes, I think Fellowship of the Ring might be my favorite. They all have many great scenes, but maybe FOTR has the most such. and the greatest variety of them too. I’d chose the FOTR movie for the same reason, and also because seeing Middle Earth done so well for the first time had the biggest impact. Drink – Gimli. He’d be fun to talk and banter with over a beer. Any of the hobbits would be great too though. Marry – Eowyn. She’d be more fun to live with than Arwen, I’m thinking. Fight to the death – Tricky. 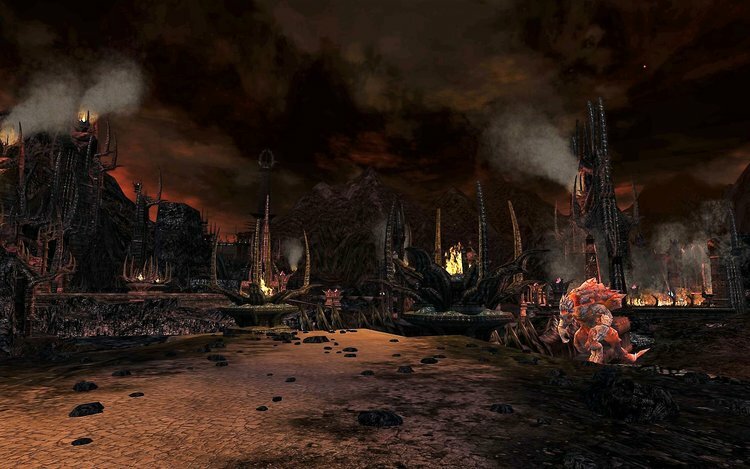 I don’t want to fight any of the goodies, and would I be able to defeat any of the baddies? If I can borrow a suitable Second Age weapon, I’ll fight Shelob. 36. Which scene scares you the most? The Shelob scene scared me the most when I first read it in the book. I’m not sure anything in the movies really scares me, but perhaps Shelob again. Being in complete darkness with a monstrous spider is hard to beat for creepiness! Rohan, not least for their wonderful theme tunes. 38. Which character(s) would you want as your parent(s)? I think Sam and Rosie would be great parents. 39. Which characters would you want as your best friends? Sam is the bestest of best friends. Can there be any debate? All of the fellowship would make great friends, and so would Bilbo. 40. When was the last time you watched the films/read the book? I’m not sure. It’s been a few years since I watched or read them in their entirety, though I do read and watch chunks from time to time. 42. 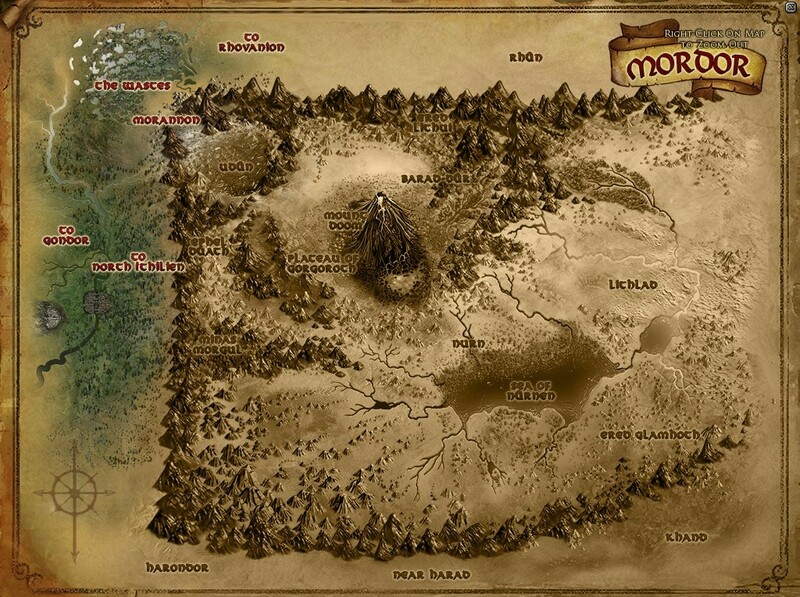 If you could spend a day in Middle-earth, what would you want to do? There’s lots I’d love to do, but I’ll say a day in The Shire, walking, talking and eating with some agreeable hobbits. Bilbo, Frodo and Sam would be excellent company if they’d show me around. 43. Is there anything you would change about the books? A way to extract the interesting stories from the Appendices and put them someplace they’re more likely to be read and enjoyed maybe? Have an extended edition that’s a lot longer and shows us a lot more about the world and its cultures? 44. What do you think is the greatest lesson LOTR has to offer? Victory, success or even survival might not be in your hands, but how you live your life and how you face up to whatever life brings you always is. 45. 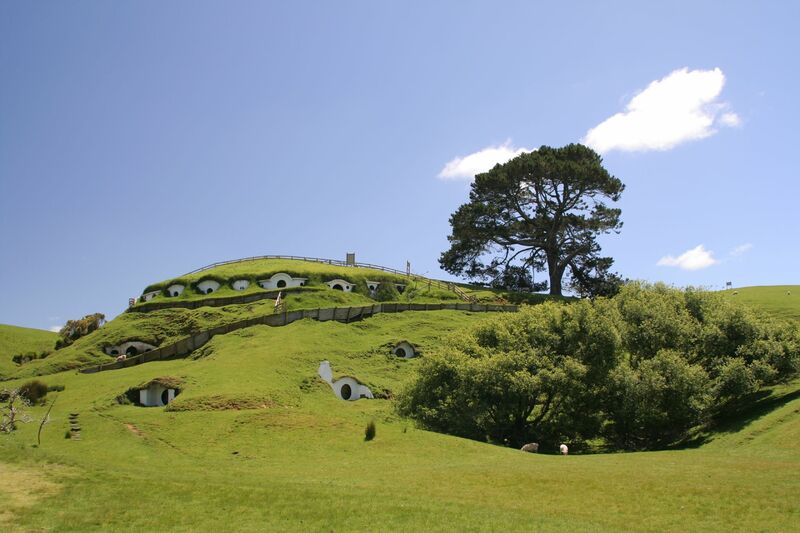 What would your dream home in Middle-earth be like? Make Bag End big enough for me, and I’ll be very happy. Put it near a small river and some woodland too, and I’ll be even more delighted. 46. How would you describe what LOTR means to you in one word? Ok, that’s one word that needs a lot of explaining. I’ll give you a less surreal answer. 47. Which death makes you the most sad? Theoden. He’s like a beloved grandfather by the time he falls. It might have been Gandalf on the first read through, when I didn’t know what happened afterwards. 48. Favorite behind-the-scenes moments from the films? I don’t really remember too much of the behind-the-scenes stuff that I’ve seen. I haven’t rewatched it since the movies came out on DVD, so a long time ago now. 49. If you could own any item from the films, what would it be? Gandalf’s staff. I might go walking with it. 50. If you had the opportunity to meet the Professor, what do you think you would say? I’d tell him how much I’ve loved his work of course. And then there would be plenty of other things we could discuss. For example: Do Balrogs have wings? What did he mean when he said LOTR was a fundamentally Catholic work? What does he think about his work being beloved by technologists? Books! The movies are great, but there’s so much more to the books. I think Christopher Tolkien who isn’t pleased with the movies has said something about them lacking the “seriousness and beauty” of his father’s work. I think that comment is harsh, but it is hard to do the books justice in movie form. The books have considerably greater depth, substance and resonance for me. 2. Which character do you connect with the most? When I first read the books (prob about age 14) I think it was Aragorn, especially in his Strider phase. Being a weather-worn, solitary hero who knows his stuff, keeps his head and does what’s necessary was appealing. 3. What are your top 5 favorite tracks from the soundtracks? Tricky to whittle down to just five, but I don’t want to leave any of these out! 4. Which scene always makes you cry? 5. Where would you live in Middle-earth? Another tough one, there are so many wonderful places! I’ll say Rivendell. I’d love the mountain setting, the beauty of the valley, having the run of Elrond’s library, and all those elves to talk to! 6. Which race would you be? It’d be a toss up between Elf and Hobbit. Perhaps an Elf-influenced Hobbit like Bilbo and Frodo? 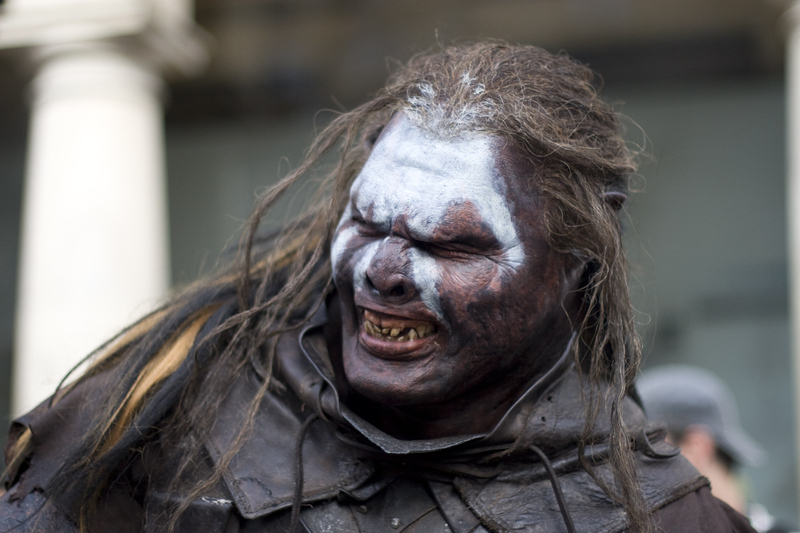 Uruk-hai are more fearsome in every way, surely! How can you even choose? But just for the sake of variety in my answers, I’ll pick Gollum! One of the most unique characters in fiction. 9. Which character do you look the most like? I’m not sure I look that much like any of them, but the closest might be Boromir. I’m not nearly as large though. Beren and Luthien. Or if you want to restrict it to LOTR only, Aragorn and Arwen. I don’t really read Tolkien fanfic, esp with non-canon pairings. I find changing people’s sexuality and personalities a bit distasteful generally. So I’ll say Frodo/Sam as representative of that. 12. What unpopular opinion do you have for the movies? I don’t know what opinions are popular or unpopular! How about that I’m glad that Bombadil was left out? 13. If you could change anything about the movies, what would it be? There’s plenty I’d change, though those things might well have made the movies less commercially successful. Top of my list is that I’d restore Denethor to the character he is in the books, being vastly more wise, capable, tortured and tragic than he is in the movies. 14. How do you think Tolkien would have felt about Peter Jackson’s adaptations? My guess is he’d have pretty mixed feelings, but overall feel fairly pleased. Some things he’d love, some he’d hate. 15. Whose wardrobe would you like to have? I think Legolas’ outfits would suit me the best. I can go for an outdoorsy huntsman look. Plus I’d fancy the bow as well. 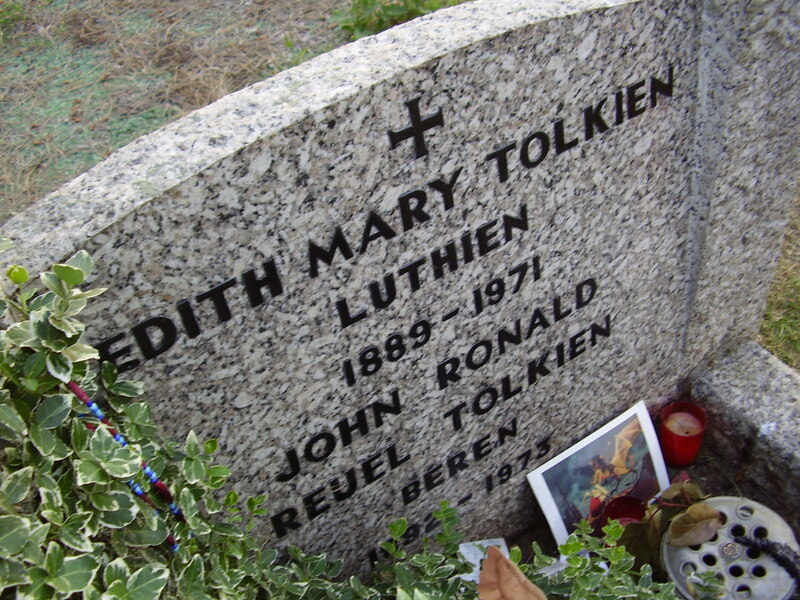 Tolkien is buried together with his wife Edith, and their graves are marked with the names “Beren” and “Luthien”. The tale of Beren and Luthien was inspired by the Tolkiens’ own story. The following documentary is an excellent short history of Tolkien’s life and the development of his work. The segment on Beren and Luthien starts around 12:45 into the video.